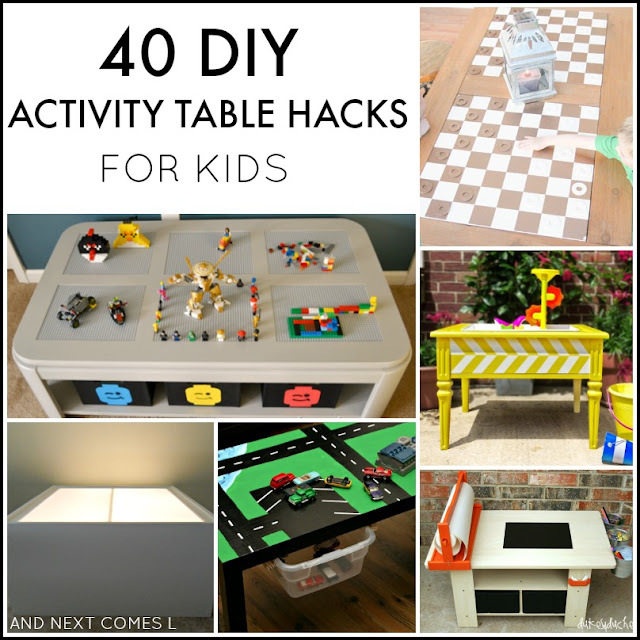 I'm cheap frugal so when I am interested in getting an activity table for the kids, I always prefer to go the DIY route. I've already made a few homemade sensory and activity tables for the kids myself, but since this is my 500th post on my blog (wow! 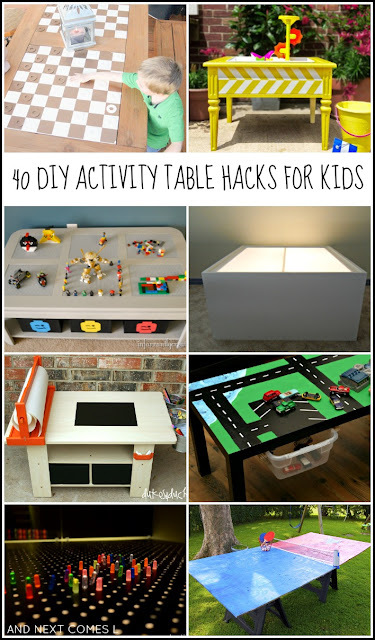 ), I thought I would roundup some other amazing DIY activity tables for kids. From DIY art tables to DIY train tables to DIY LEGO tables, here are 40 beautiful activity tables to keep your kids busy and learning all year round. DIY Outdoor Train Table from Play Trains! Simple Sensory Bin Stand from Mama. Papa. Bubba. Want more hacks for kids? Try out one of these awesome 25 sensory hacks for kids.